Heading to the finish line. 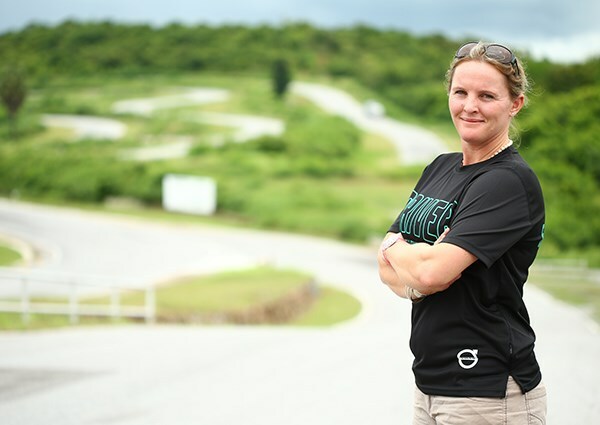 New Zealand’s Louise Marriot has made history at the Volvo Trucks Asia Pacific Fuelwatch Challenge 2015 this week, becoming the first female and New Zealand driver to win one of the region’s most fuel-efficient driver titles. 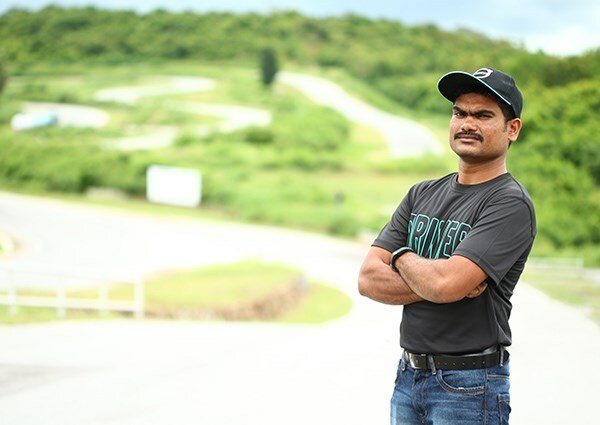 Held in Hua Hin, Thailand, the two-day event canvassed the on-road and off-road skills of 17 finalists from across 10 countries. One of four women competing, Marriot topped the on-road segment by saving 17.5 per cent more fuel than her weakest opponent. "I’m absolutely pleased to be this year’s most fuel-efficient driver and to be the first contestant to bring the trophy home to New Zealand," she says. "While our industry is often thought of as being male dominated, the Fuelwatch Challenge has been a great platform for us to show that all drivers, regardless of gender, can perform at the highest level while being fuel-efficient. "I look forward to sharing the experience at Fuelwatch with my colleagues back home." Asia Oceania’s Volvo Trucks president, Christophe Martin also believes the achievement could have an impact on the trucking industry. 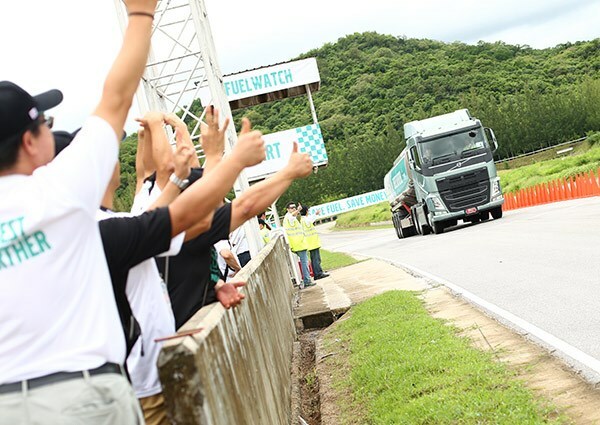 "I am delighted and proud to witness history made at this year’s Asia Pacific Fuelwatch Challenge 2015, with the first female driver joining the ranks of past Fuelwatch winners," he says. "Louise’s achievements will no doubt encourage aspiring female drivers, which will benefit the industry as a whole." India’s Ravi Poleboina joined Marriot on the podium taking out the competition’s off-road category. Poleboina achieved a fuel consumption level 12.5 per cent below his fellow combatants. 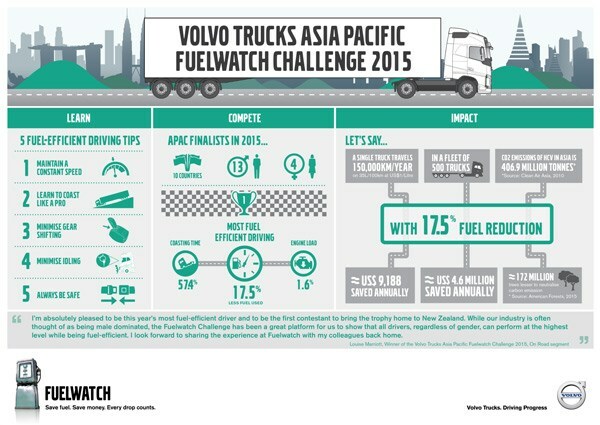 Volvo says 15,000 applicants have tried their hand at the Fuelwatch Challenge since its inception in 2007.